I can’t wait for Sunday to come.. why? I am going to shop ..hopefully till I drop hehehe. My money arrived the other week and as I promised myself I am goin to treat myself fr. my hard earned money. Actually I already bought a brand new tv, dvd and desk and other stuffs. I still want to enjoy what I worked for so Sunday is my time. I still need to go to my dentist, eye doctor and dermatologist hahaha, I need an overhaul? Hhahaha. Anyway, I plan to shop for a complete wardrobe, from pants to shoes. I gained weight (oooppps actually few bilbils!!!! yikes) and I find it hard to wear my old maong pants anymore. You know what, I am really not good in buying shoes or sandals, there are times when I got home, I don’t like what I bought or it is not fitted well. I don’t think I will buy another bag this time, I am quite contented with the bag that I am using right now (it was given by my is Joy). Greenhills Shopping Center in San Juan is one of my fave shopping place, although some prices are too high at some shops I still love to go there. I love the tiangges that lined up in Shoppeville, there are some export overruns of branded clothes like GAP, Abercrombie and more. There are also many small stalls that sell jewelleries like swarovski crystals and their famous pearls. And you know what you can buy some class A or good replica bags of known brands like GUCCI, PRADA, COACH and more. I see a lot of foreigners buy there and when they returned to US their bags would not easily be noticed as replicas. I’m not actually a brand conscious type of shopper now (in my 20’s I am), even if it is not branded but if the style and price suits my taste then I’d go buy it. I also love bargains or with sale (who doesn’t! ), I remember we should to go at Midnight sale at Robinson’s Galleria and Megamall every year before the Halloween. I’d go with my sis or by myself and go to all the shops to buy some good stuffs, it’s fun to see tags have 30- 50% off. Nothing can beat DIVISORIA ever, if you have not been there, you are actually missing a lot – shopping wise you know!! There are hundreds of stores where you can buy all kinds of stuffs from shirts, cloths, anything you can think of. I usually got o 168 and and Divisoria mall. Your whole day is not enough to go through all the shops and see the bargains at wholesale price.!!! 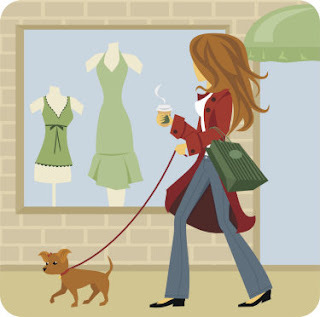 What about you where is your fave shopping place, and what items you love to shop always? Care to share them? Uy batang Divi ka pala ha.... hay naku kaloka mamili talaga doon di ba, madami kang mabibili kahot medyo maliit budget mo, lalo pati pala kung magaling kang tumawad..
oo nga pala Che, ukay2x queen ka, d2 kasi sa palce namin pangit mga ukay2x parang basahan na kumbaga latak na eh sa ibang place magaganda pa gaya sabi mo may mga branded name. Pero nakabili na rin ako sa ukay noon..
hey di pa palatau naka-link..care to xlink po? ako sa metropolis alabang at sm manila nagsashop pag may emergency lakad na kailangan japorms ako. pero kung may time pa, aba divisoria! ok ang night market sa divi! bagsak presyo talaga! ok din ako sa UK, may nabili akong dress last week. ang ganda kasi ng tela at design, although lumang cut na, kaya ang ginawa ko, pinaretoke ko sa mommy ko. marunong kasi sya manahi. 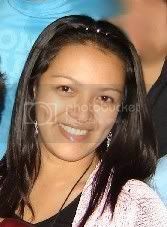 kaya from 70's style, naging mala-ann curtis at toni gonzaga ang ganda ko! hehehe! thanks to Mom. Hi Pepe thanks for the visit here too. Madali na lang ang March till you will be here. Nice i have nver been to Metropolis kasi malaya d2 sa amin.. ay i love SM din pala kaya nalalayuan ako at nalalakihan sa pag ikot ikot..
Hihi UK girl ka rin pala...minsan ng adaw may natetyempong magagandang damit ano..
hay naku remember the time na i'm with you sa midnight sale na yan eh kung anu-ano ang nabili ko na di ko naman kailangan madness sale dapat tawag dyan hahaha! sobrang sakit ng paa sa pag-ikot tapos you'll end up buying things impulsively minsan, Redge and I love st. francis square near megamall,not too crowded pero super nice blouses, shoes and bags, there's one shop there na nagte-text pa sakin when they have new arrival of blouses/polo, like cherryrose i also go to ukay2 sometimes, in 15th ave maraming maganda grabe branded pa, samahan kita minsan! About naman CafePress, if you're interested you can sign-up here http://www.cafepress.com/cp/info/storeref.aspx?refby=Buge (my referral). And it's free to open a store so you've got nothing to lose. All you have to do is upload a design and choose the products you want your design to appear into. Ganon kadali. They have guidelines naman eh in case you feel "lost." I love DIVI!!! :D It's a pity that I don't get to go there as much now. Hello BEs, hahaha oo naalala ko yon, tayo nina Redge we thought midnight sale eh 6 pm ang open yung pala morning till midnight hahahaha kaloka.. korek ka dyan minsan we buy things we don;t really need.. impulse buying nga . Sige samahan mo ko one time sa ukay ukay na yan ha..
BUGE, thank you for giving some tips at Cafe Press, if ever na maisipan go to open a store there i will let you and bebots know. Hi ANDREA, thanks for the visit ha, me rin nalalayuan kasi sa DIVI eh so pag maraming bibilin n alang dumadayo ako don.. let's go shopping!! Hi Te, thanks for stopping by. Wow, how I wish malapit lang ang Divisoria sa Bohol lol. Dami kasi nagsabi na talagang madaming mura dyan. Dami din second hand (stores) at mostly may branded din. I love Old Navy, Gap and other stuff. Tapos $5 lang lol. ay naku happy to know how you think about divi and ukay2...my neighbor kc said..."yuuuuck, ur so kadiri, nag uukay ukay ka?!" her words melt me down but I just kept my cool...eh kaya ko naman bumili sa mall ng signature, tan gan, M&S, freeway, ensembles...hehehe sori po ngtaray lola nyo...pero i love being practical also budget-wise....flexible ako kahit saan ped...!!! hurt lang ako kc most of my daily get-ups I bought from UK! P35 ang 1 at maganda sya ha....yahoo d ba! Divi is the happiest place on earth for me!! !